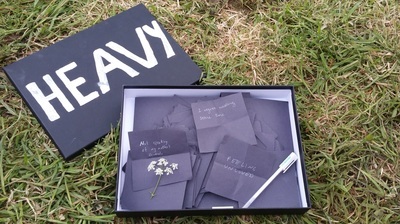 This piece was created specifically for the family friendly, folk music festival Fanny's Meadow. 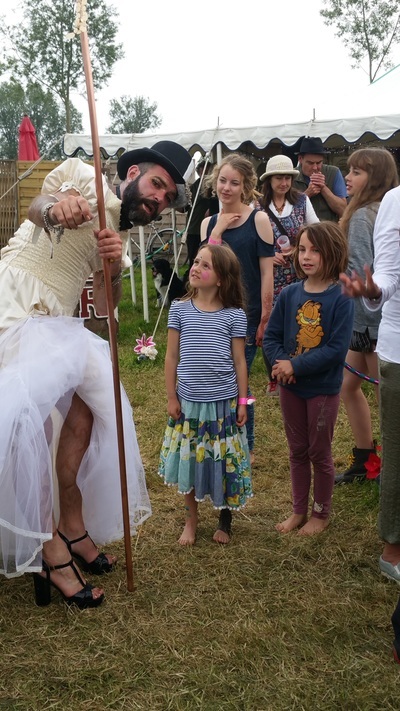 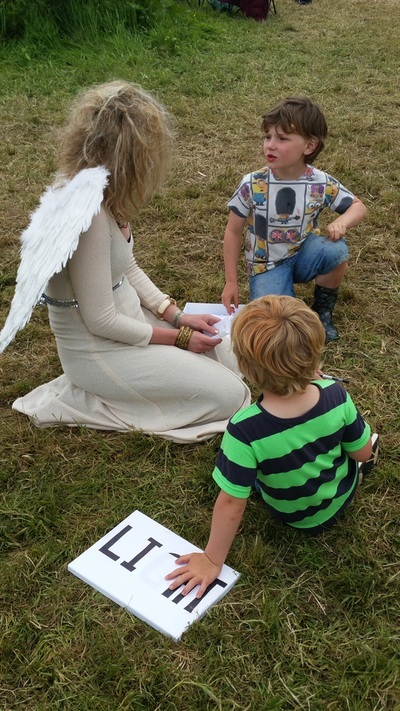 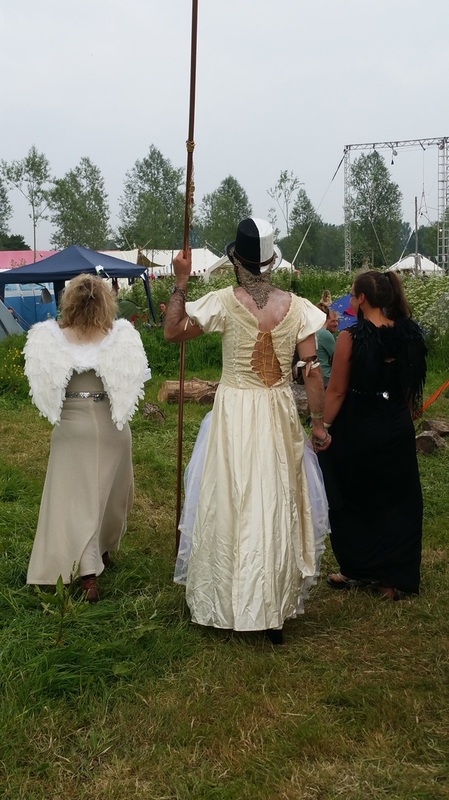 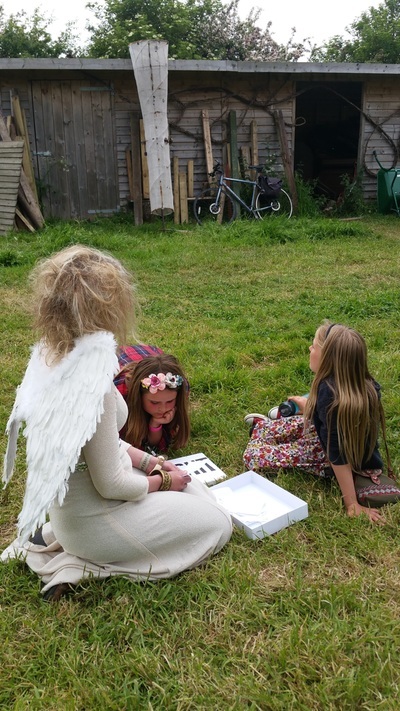 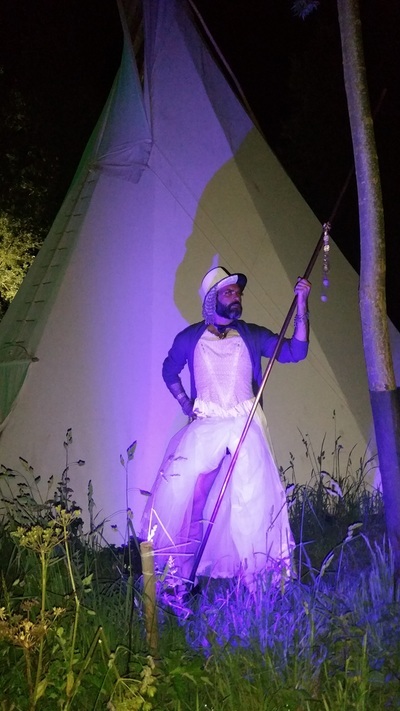 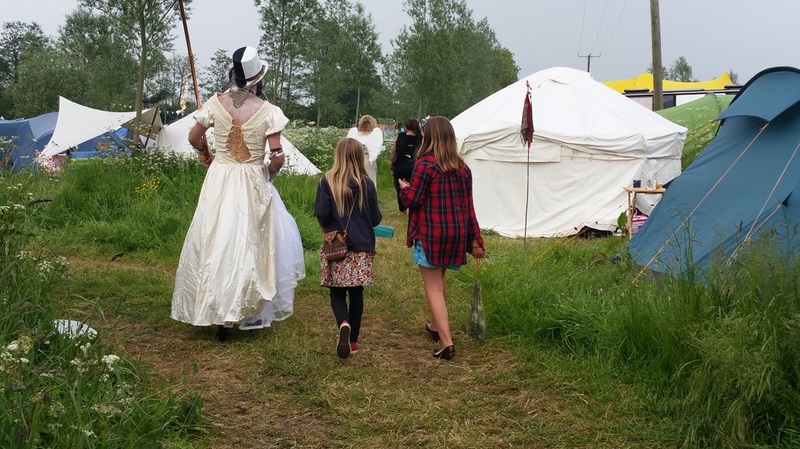 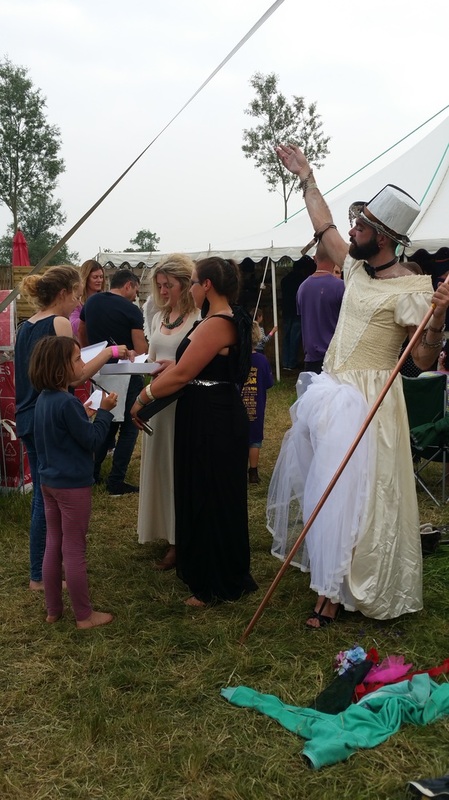 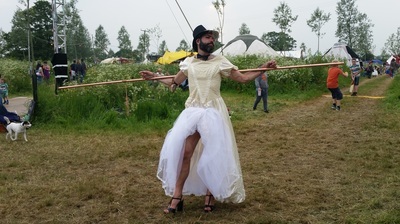 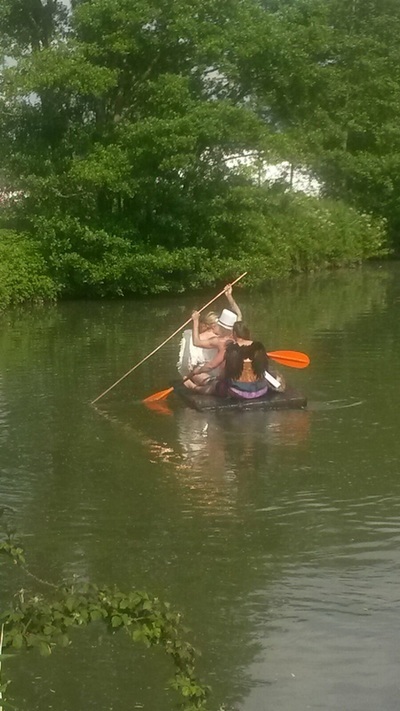 Capitalising on its location (46 miles in a South-West diagonal from Stonehenge), and on the liminal nature of music festivals (as a space away from the everyday where people are more porous), the performance was conceived as a participatory, two day ritual for all ages. 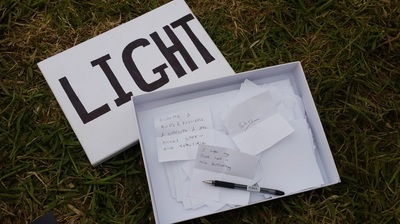 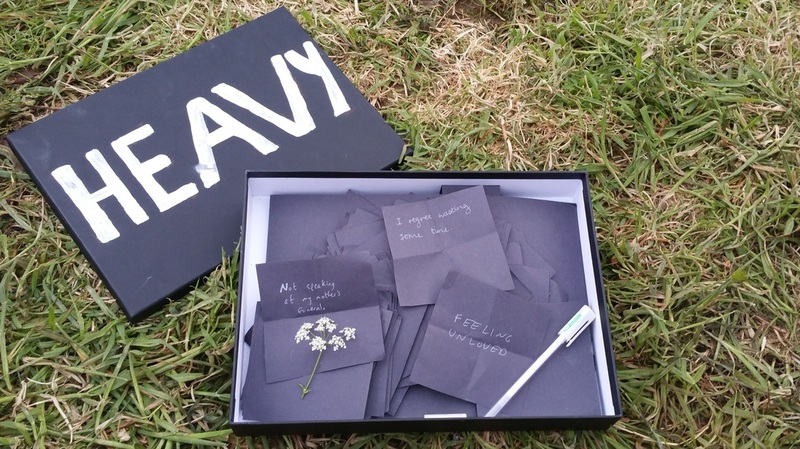 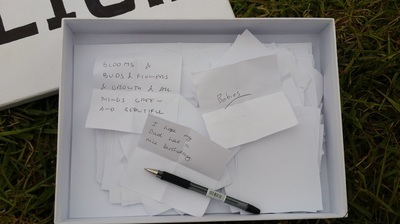 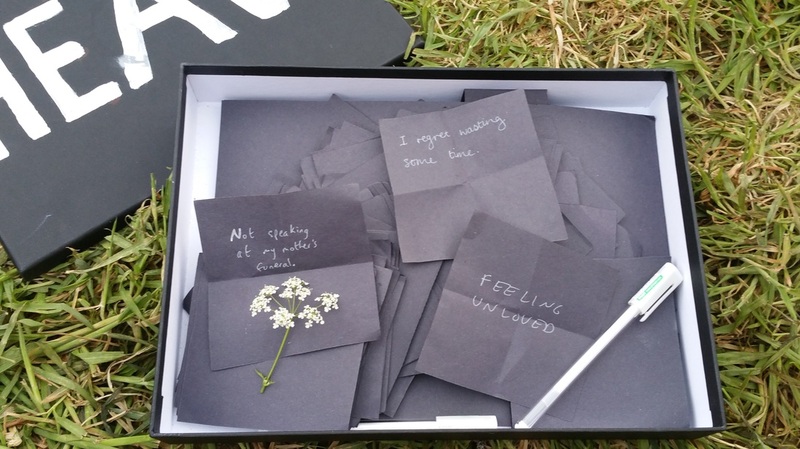 During the first day the public were invited to consider what 'heavy' things they'd like to let go of (regrets, fears, things they'd rather forget...) and what 'light' things they'd like to release into the world (hopes, dreams, aspirations...). 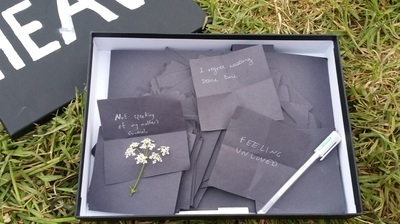 Each person wrote these down on black and white paper respectively, and these were collected by the two winged assistants. 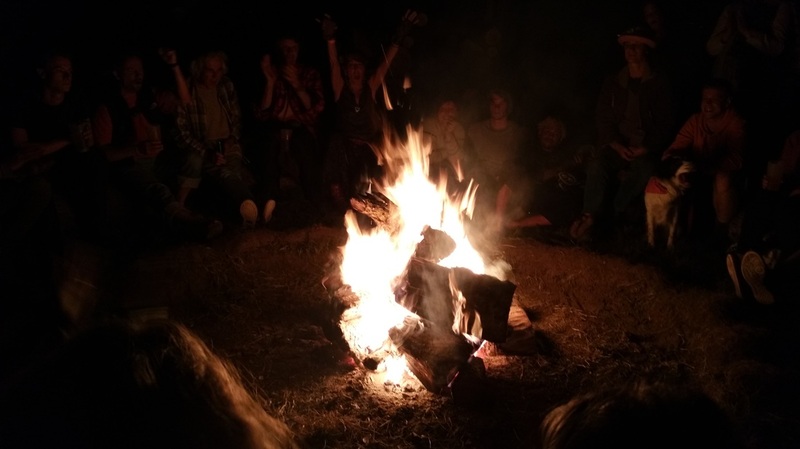 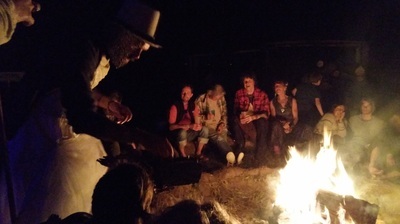 At the end of the first day, after midnight, a small ceremony took place where the 'heavy' things were placed on a piece of bark that was then burnt on a camp fire. 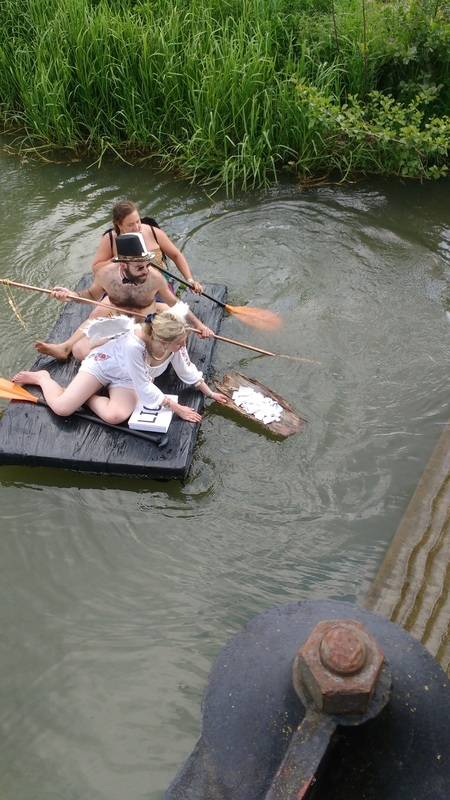 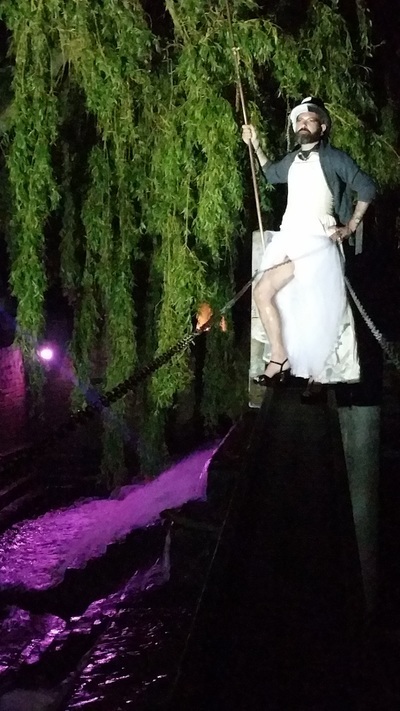 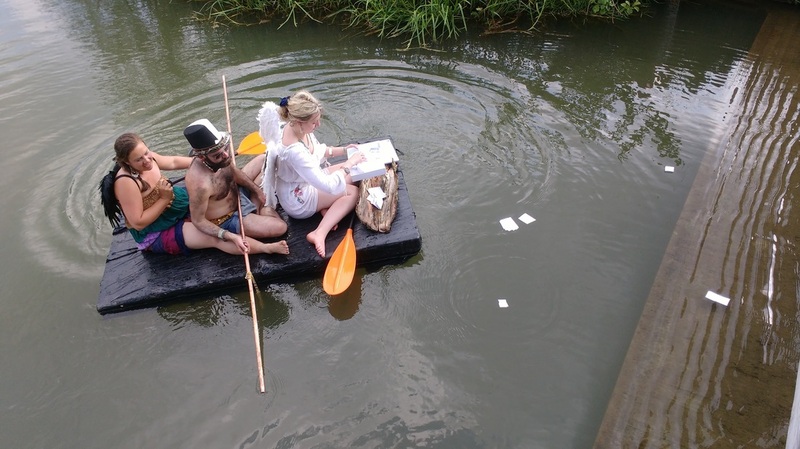 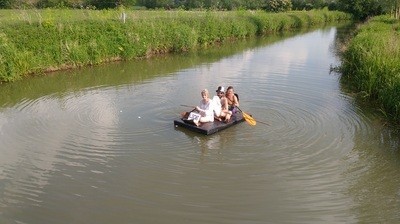 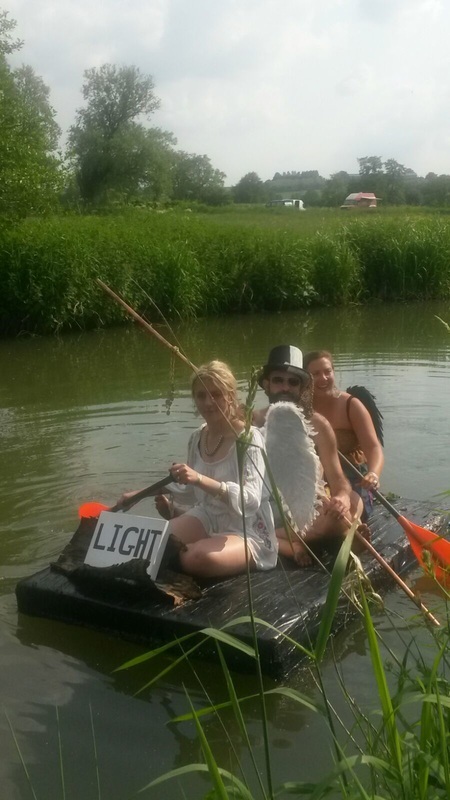 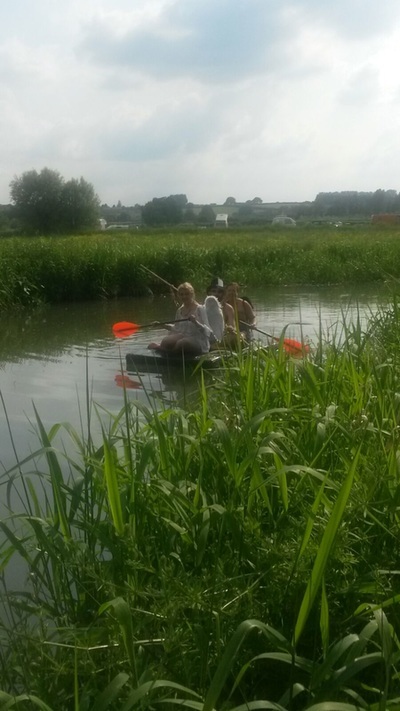 ​The following day, after midday, a second ceremony took place where the 'light' things were taken on a raft down the River Parrett and released on a piece of bark near a weir. 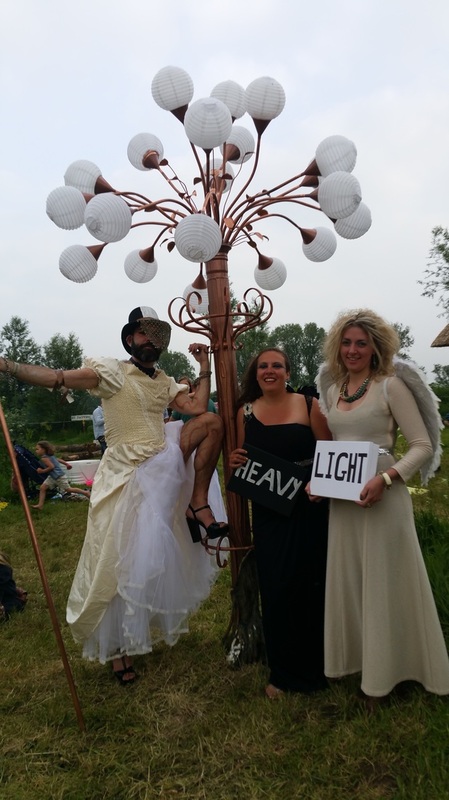 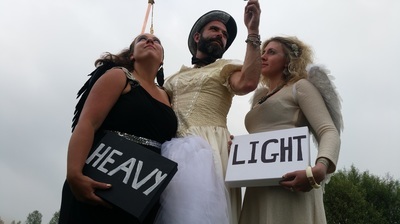 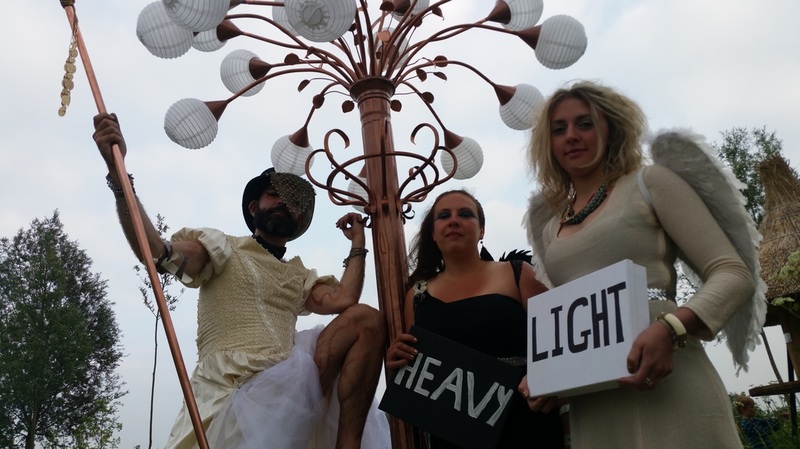 The piece was performed with Page Dykstra (Heavy) and Anna Gawtorpe (Light). 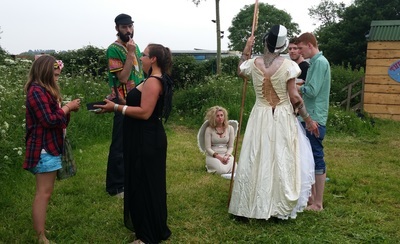 Images courtesy of Aimee Ashton-Freeman and Basil Brooks.